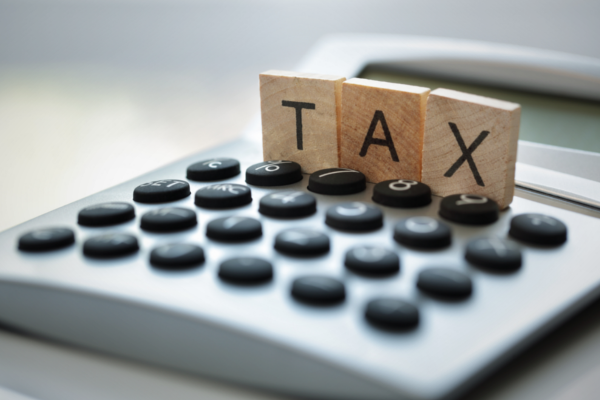 Finance expert Jayson Coomer, known as the Rolling Alpha, has updated his annual breakdown of South Africa’s tax trends, following the mini-budget speech delivered this week. 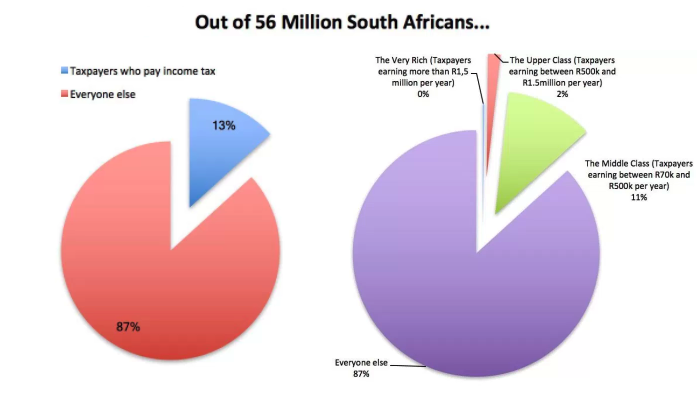 According to Coomer’s data, currently a paltry 13% of the South African population of 56 million people are the ones paying income taxes – with the other 87% not contributing anything (though still contributing to VAT). On the basis of personal income tax, the top 1% or so of taxpayers (the 480,000 people earning more than R750,000 per year) pay 61% of the total income tax bill. 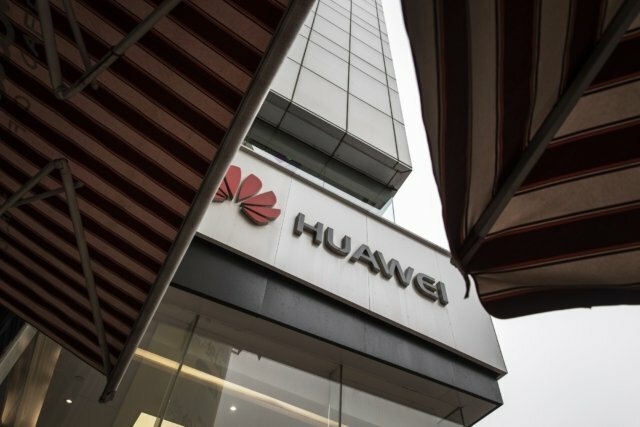 “And I just want to point out that, by almost any standard, this is an extraordinary burden to lay on such a small portion of the population,” he said. In terms of revenue sources, personal income tax accounts for 38% of revenue, with value-added tax making up 25%. Companies tax accounts for 18%, followed by the fuel levy (6%), customs (4%), other sources (4%), excise duties (3%) and dividend withholding tax (2%). The biggest portion of the budget goes to the public wage bill (36%) and social grants (17%). “One of the criticisms that I often hear is that focusing on ‘income taxpayers’ is distracting from all the other taxes,” Coomer said. Comparing South Africa to the United States, he found that both countries pay taxes that equal about 25% of their annual GDP – however, in the USA 47% of people don’t pay taxes, compared to 87% in South Africa. In 2010, the top 1% of taxpayers in the US contributed about 37% of the total income tax bill – “compare that to the 61% mentioned above,” he said. Rolling Alpha posts opinions on finance, economics, and sometimes things that are only loosely related. Follow him on Twitter @RollingAlpha, and on Facebook at www.facebook.com/rollingalpha. Update: regarding the taxpayer numbers Coomer referred to table 4.5 of the 2017 budget, specifically looking at the 2017/18 projections.